Enjoy the interesting facts, figures and profiles about people and organizations who have contributed to deaf culture and history. Bookmark this site and check back often. Share these items with friends. Connect with us on Facebook and Twitter. Celebrate Deaf Awareness All Year Long! Think about what it means to be deaf – and about the unique aspects of Deaf culture – our art, schools, heroes, sign language, storytelling tradition, Deaf Pride and the customs of our communities that make our heritage so rich. In the past, Deaflympics winners were celebrated with an audio recording of their national anthem. 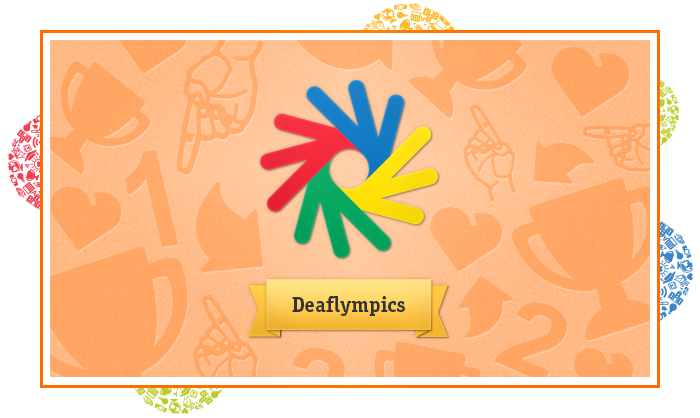 This year, for the first time, the Deaflympics featured signed videos of the winner’s national anthem. The USA Deaf Sports Federation (USADSF) became the first national deaf sports organization in the world to support the Brighton Declaration on Women and Sport, an international document that states women’s right to equality in sport. 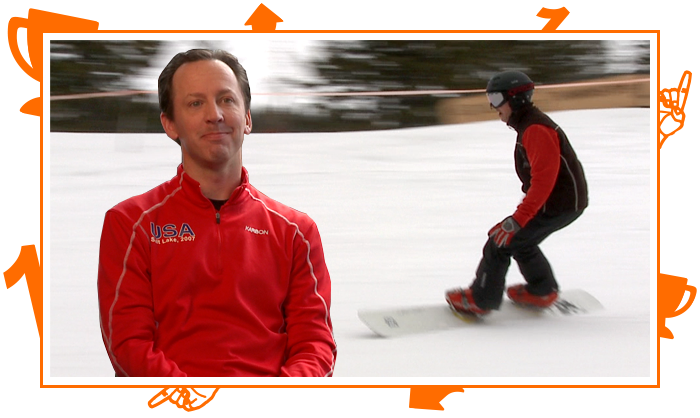 Jeff Pollock is the only male alpine snowboarder on the U.S. Men’s Snowboarding Team in the Deaflympics. He plans to compete until someone an beat him on the race course. Many deaf schools are training and graduating talented, young athletes. 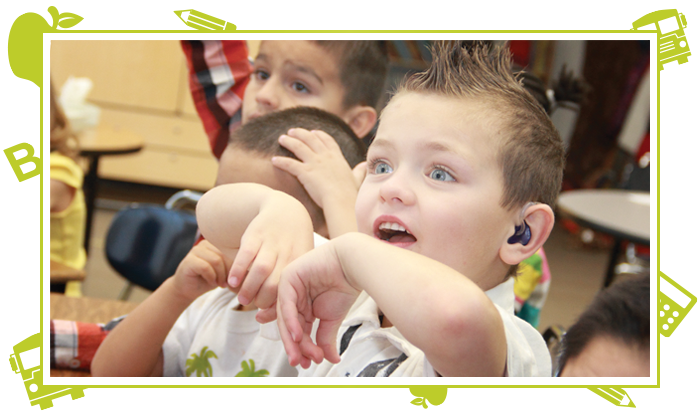 See how California School for the Deaf is helping students reach their full potential. Many people and organizations have worked to preserve ASL and ASL poetry. Learn about those in the past and those today who are working to preserve the language. Enjoy this video from the SVRS Messenger newsletter, which highlights some of the best videos of Sorenson's Deaf Awareness Month. Each year, Sorenson awards three deserving teachers of deaf schools the Sorenson Teacher of the Year Award. Each teacher wins a grant to use in his or her classroom. The 2013 winners are Paul Saunders, Georgia School for the Deaf, third place, and Lilla Baaken, North Dakota School for the Deaf, second place. 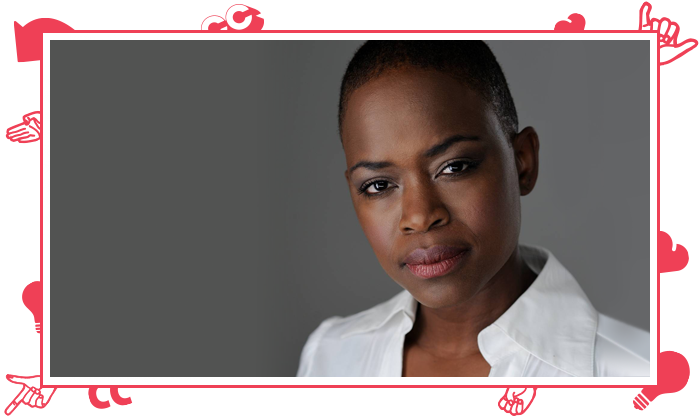 A drama graduate from State University of New York, Michelle Banks founded the first deaf theater company in the U.S. for people of color. Sorenson's Video Center presents a variety of American Sign Language (ASL) programming, thereby preserving the current use of it. At International Gatherings, Many Deaf Use "International" or "Universal Sign"
With improvements in communication, the ease of travel and more frequent international gatherings of deaf people, the need for international communication has increased. But with more than 200 different sign languages in the world, what language do they use? For more information on sign language, presented by the World Federation of the Deaf, click here. Based in London, the National Deaf Children's Society (NDCS) works with a variety of government and private organizations to improve services for families with deaf children and for the professionals who work with them. Norwegian Version of "The Three Billy Goats Gruff"
Compare the 2012 ASL version of "The Three Billy Goats Gruff" with the Norwegian version presented here. In February 2013, Sorenson Video Center “Hangout” viewers enjoyed a segment that featured the story "The Three Billy Goats Gruff," presented in Norwegian Sign Language. You might want to compare this Norwegian version to an ASL version of the same story, presented during the 2012 Deaf Awareness Month. To view that video, click here. Andrew Foster founded 30 different schools, churches, Sunday schools and deaf centers in Africa, from Kenya to Senegal. Learn about him and other groups who have worked to provide services for deaf people worldwide. 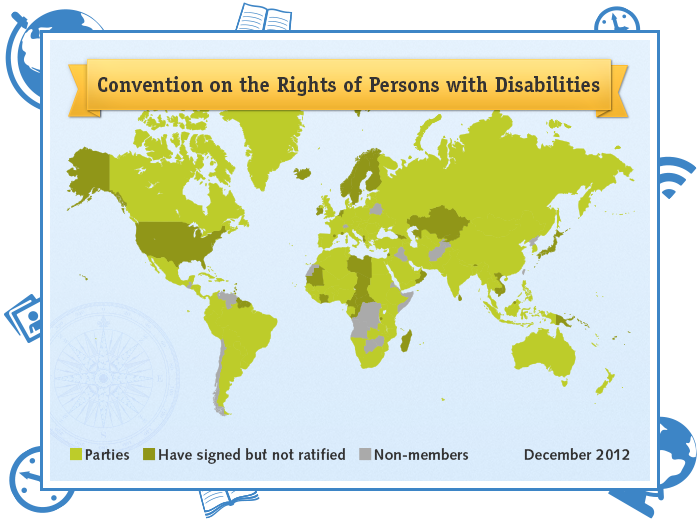 The UN Convention on the Rights of Persons with Disabilities changed the worldwide view, agreeing that people with disabilities are equal members of society, with human rights. The FCC requires at least one of the callers on a VRS call be located in the U.S. If you are traveling outside the country, you can make a VRS call to someone in the U.S. Or, if you are in the U.S., you can receive a VRS call from someone outside the country. This DeafNation video, produced by DeafNation CEO Joel Barish, shows a variety of deaf people in many countries around the world. A few countries have some form of VRS, but the service dramatically differs from the service deaf Americans use. Learn more by watching the above video. Learn about the role dormitories played in preserving sign language as well as information about important deaf schools. One of the nine colleges of Rochester Institute of Technology, NTID is located in Rochester, New York, and is the largest technological college in the world for students who are deaf or hard-of-hearing. The Sorenson Communications “I Love Learning Because…” Deaf Students Art Contest encouraged artistic expression about learning. Jean Massieu was one of the first deaf educators. 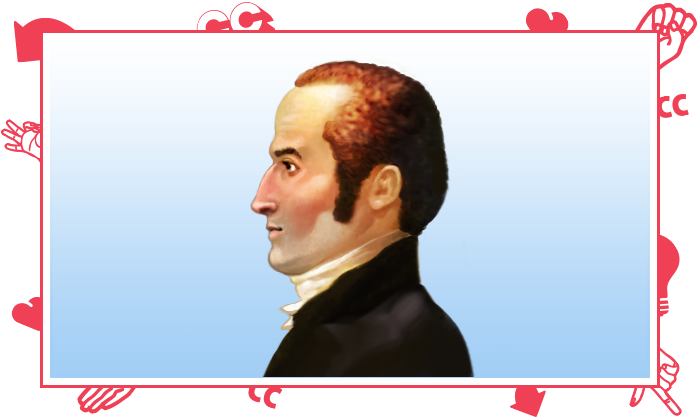 Because of his contributions in the field of education, many schools are named after him. In 2012, Sorenson named Sherie Trace the 2012 Outstanding Teacher. Watch the video to see what makes Sherie an especially outstanding educator. Located in Washington, D.C., Gallaudet is the only liberal arts university in the world that is dedicated specifically to the education and career development of deaf and hard-of-hearing students. Get more information about the "Bison Song" by watching this video, provided courtesy of Gallaudet University. School is important to any child’s education. Deaf schools have been, and continue to be, an especially important part of a deaf child’s upbringing. To view a list of schools and programs for deaf and hard-of-hearing students in the United States, click here. To watch news coverage of a 2011 rally at the Texas School for the Deaf, click here. To learn more about the "National Agenda: Moving Forward on Achieving Educational Equality for Deaf and Hard of Hearing Students," click here. by the US government's Telecommunications Relay Service (TRS) fund. Copyright © 2014 Sorenson Communications. All rights reserved.